The Global MINDS Fellowship Program (GMFP) 2019-20 is a year-long opportunity for triad-teams (Student-Faculty-Community Partner) to catalyze a social innovation to a complex mental health system challenge co-determined by the triad-team in their local or global setting. Highly qualified, self-directed students and/or recent graduates with diverse academic backgrounds and skills will facilitate changemaking processes for their triad-teams in creating a disruptive solution. Faculty and Community Partners will become champions at their institution and organization by grounding work in radical collaboration and collective wisdom values – requirements for shaping the next century for meaningful and impactful change. The GMFP 2019-20 will be hosted at Western University, in London, Ontario, Canada. June 18, 2018: This half-day, online-based Pre-Summer Institute Orientation prepares triad-teams (Fellow-Faculty-Community Partner) for the journey that they will soon embark on and welcomes them to the Global MINDS family. Through team-building activities, storytelling and an exploration of skills and competencies, triad-teams are introduced to the Philosophy of Global MINDS, to the Global MINDS Faculty and Mentors (2017-18 and/or 2018-19 Fellow alumni from Western University and Kenya; renowned academic and community coaches), and to each other, while beginning to conceptualize and reflect on their unique and individual strengths, and those that make up the larger GMFP community. 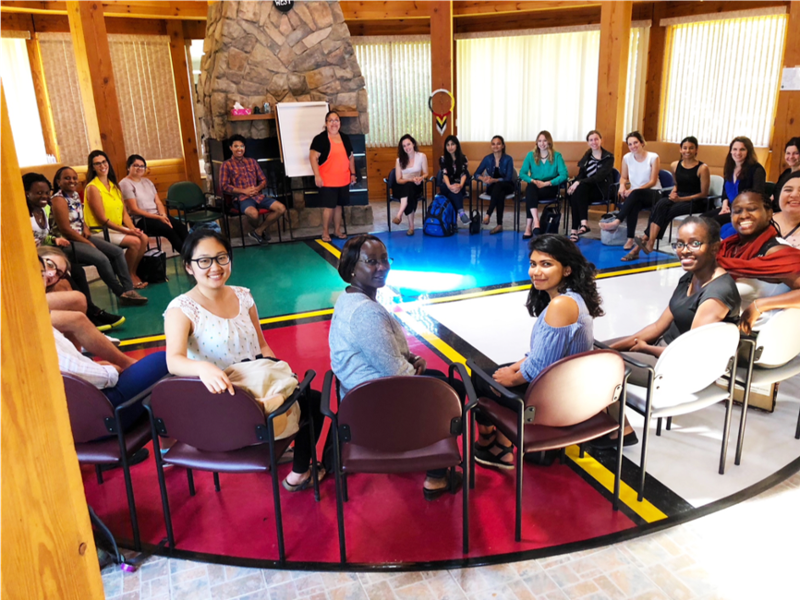 July 15 – 24, 2019 at Western University (London, Canada): Over an intensive ten-day period, Fellows will be tasked to develop a “disruptive solution” for their complex mental health system challenge. Fellows will engage in an immersive curriculum of sense-making exercises (system mapping, stakeholder analysis), developing iterative complex challenge questions and briefs, determining personal and team impact statements, and designing implementation, evaluation and sustainability strategies. Professional capacity building opportunities are integrated into the curriculum, including daily mindfulness and reflection sessions, cultural exchange, larger group and team-building activities, and focused, interactive learning on topics such as public speaking and system leadership development. Fellows will have opportunities to connect online with their Faculty and Community Partner throughout the Summer Institute. The Summer Institute ends with a “Disruptive Solutions Final Pitch Event,” where Fellows will pitch their triad-team’s final solution to the Global MINDS faculty and staff for rapid feedback. Faculty and Community Partners will be welcome to attend this session virtually. The Summer Institute will conclude with a “Showcase & Networking Celebration Event,” which will include alumni, faculty, university leadership and public officials, and other members of the community. Coaching between Jan – April 2020: (1 hour with triad-team’s Mentor; 1 hour with Global MINDS Faculty). Furthermore, all triad-teams will be connected to two other triad-teams who are working on a similar complex challenge and/or based in a similar region. In these Kin Teams, a model for peer-to-peer coaching will emerge to create an environment of mutual learning and to encourage dialogue and reflexivity. This “mutual mentoring” creates a space for reciprocal learning from and with one another, ultimately to support triad-teams in progress and achievement of innovation goals. In addition, a 2-hour online webinar in January 2020 will also be held to bring all triad-teams together, to discuss progress and provide information on a content area, as determined by the majority of triad-teams. Finally, a 1-hour online webinar in late April 2020 will celebrate the learnings and impact of the GMFP triad-teams!